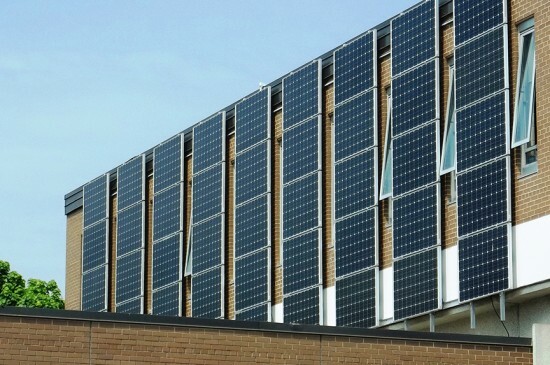 The Toronto District School Board’s partnership with a solar contractor will result in 311 schools getting solar panels installed on their roofs. The list of schools with planned solar arrays includes Norway Junior Public School, Roden Junior Public School and Malvern Collegiate Institute. 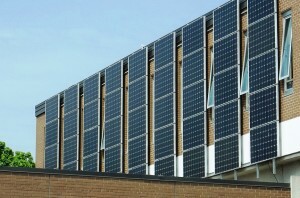 Kew Beach Public School is one of more than 300 Toronto District School Board schools that will have electricity-generating solar panels installed on their roofs. Although the schools will not receive any tax breaks or financial incentives, they do get their roofs fixed at no cost. The children also learn about green energy. The energy collected through these panels is fed back into the grid as part of the province’s Feed-In Tariff program, which buys small-scale power generated by producers of environmentally friendly electricity. Local school board trustee Sheila Cary-Meagher said although there are many goals of the project, one of them is to provide an example for kids and teach them about the necessity and importance of the environment. The schools on which the panels will be installed will have their teachers explain to students what they do and how they work. Cary-Meagher said the board has been working to install the panels for the past five years, although the idea had been discussed for much longer than that. “This project has become a real possibility because over time the government has decided to put in more money into this project, and the cost of solar panels has gone down over time by more than half,” she said. The TDSB’s executive officer for facility services Angelos Bacopoulos said the project will allow students to see alternative means of energy production, as the panels produce energy without associated negative impact to the environment. At the same time, the deal allows some necessary and potentially expensive repair work to be done at the involved schools. “It provides us with the opportunity to repair our roofs, because we lease the use of the school roofs out to the solar contractor for a set period of time. Then he is able to get all the revenue that is associated with the production of the solar energy and in return they provide us with the repairs,” Bacopoulos said. If the project continues as planned, the TDSB will have 4.2 million square feet of roofing replaced at no cost to the board. The approval has not been finalized for all 311 school roofs that the TDSB are hoping to replace. However, some schools, such as Kew Beach Public School, already have solar panels up and running. Yasmin Soul is a Beach resident and Humber College journalism student.